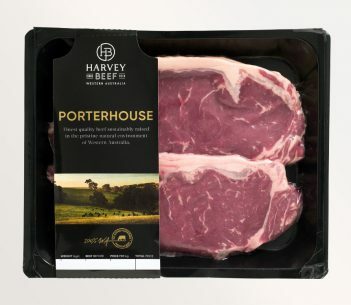 What’s the difference between Porterhouse, Scotch Fillet and Eye Fillet steaks? Have you ever wondered what the difference is between steak cuts and how you should cook them differently? 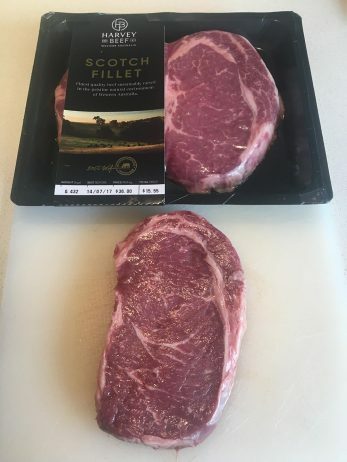 In the picture below you can see the Scotch Fillet (left), Eye Fillet (middle), and Porterhouse (right). As you can see they are all different shapes and sizes. “The Eye Fillet is cut from the tenderloin. As the name suggests it is one of the tenderest cuts of meats and the best way to serve this is rare, either pan-fried or rare roasted in the oven. 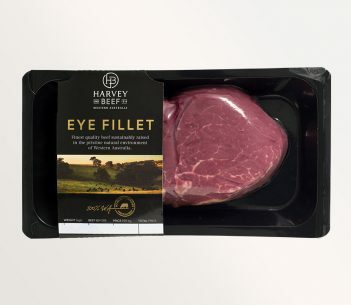 It is a thicker piece of steak, but don’t be fooled into thinking it needs a long cooking time – if the meat is at room temperature around 3 minutes each side will result in juicy rare beef. 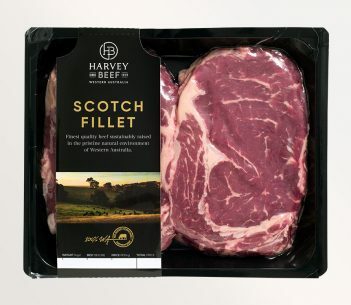 “Prepared from a Cube Roll, the Scotch Fillet is regarded by many as the most flavoursome steak cut. This is due to the middle seam of fat marbling which significantly enhances the flavour and texture of the meat during cooking. Whether you like your steak rare, medium or well done, our scotch fillet is best cooked on the BBQ or pan-fried. Cook for around 3 mins each side for rare and 4 mins each side for medium. 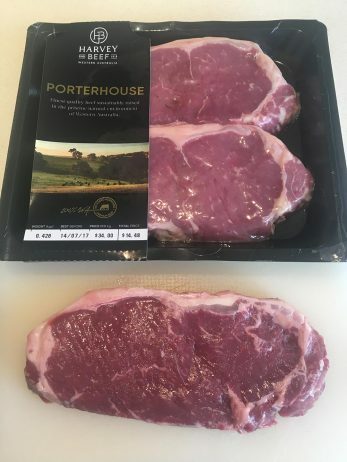 “The Porterhouse cut is prepared from the striploin, and is characterised by a lean but tender steak with a thin top strip of fat for extra taste. You can trim the fat off if you prefer it leaner still. Pan-fry at a high heat to seal in the delicious juices. Cook for around 3 mins each side for rare and 4 mins each side for medium. 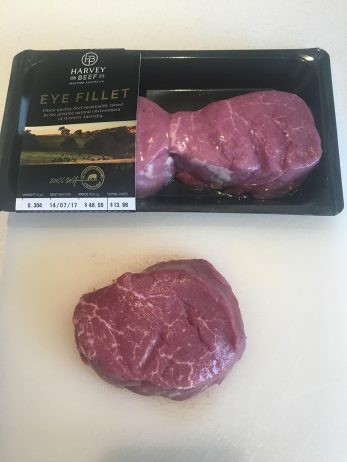 Click here to find your nearest Harvey Beef stockist or here for some more delicious recipes. Plus if you want to find out about other beef cuts click here to view a useful infographic.